Another week has passed and another wicked treat has been served. 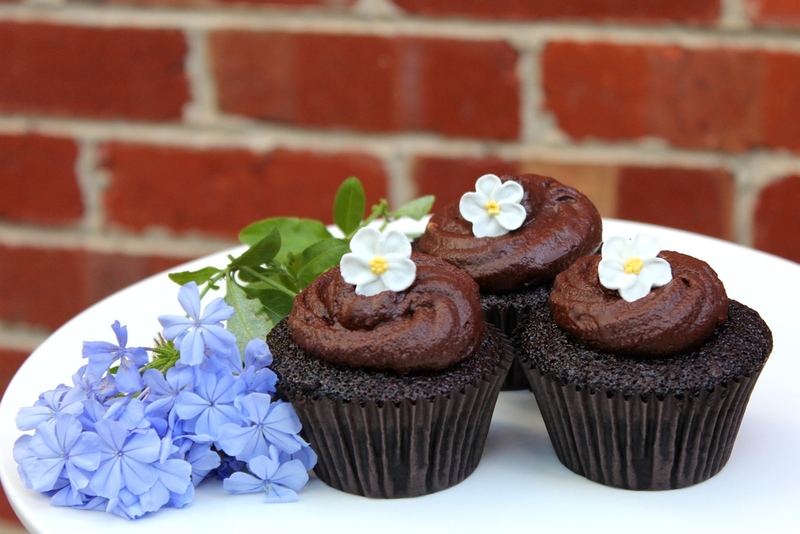 This week we've made really easy and very tasty Chocolate Cupcakes with Chocolate Butter Cream icing. These are light in texture for a Chocolate Cupcake but they have a bit flavour punch. The best part of this recipe is it's simplicity, while it does have a few ingredients, it has very few steps. These cupcakes would be equally good for an afternoon treat, children's party or formal Afternoon tea. My batch has been well enjoyed by all. Prepare 2 x 12 muffin pans with cupcake papers. Place everything except the boiling water in a bowl and mix well. Add the boiling water and stir through (The mixture should be more liquid than a standard cake batter). Divide the mixture equally between the muffin pans. Beat the butter until pale. Add the cocoa powder and mix well. Add the icing sugar and milk and mix well. Pipe onto cupcakes with a large pipping nozzle..